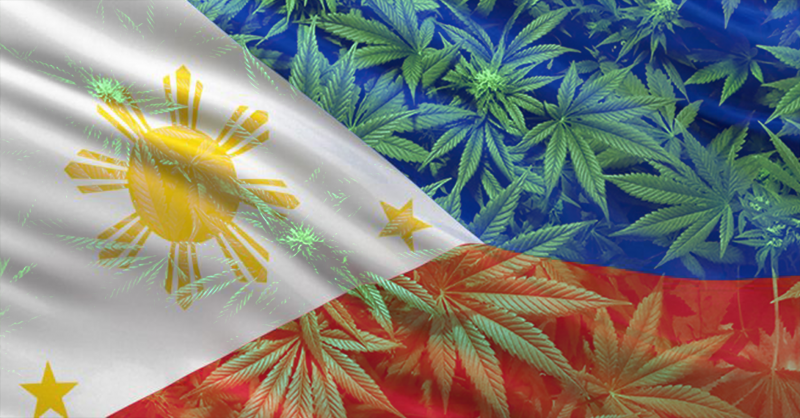 Medical cannabis has effectively been legalised in the Philippines following a historic vote. The bill will bring legal access to medical cannabis to patients suffering from a wide range of debilitating medical conditions. According to Bill 6517, patients suffering from any diseases which cause chronic pain, seizures, persistent muscle spasm, nausea and wasting diseases. Patients qualify to use medical cannabis if they are diagnosed as having a “debilitating disease,” and will be issued with special identification cards, much like in California. Patients who qualify would then have the right to a choice in the type of health care service and medication they are provided, putting Britain’s current regulations on medical cannabis to shame. There will also be licensed medical cannabis caregivers, who will be issued special identification cards by the DOH Secretary. The medical cannabis caregiver can attend to only one patient at any time. Likewise, medical cannabis patients will also be issued special identification cards. Under the bill, “medical cannabis compassionate centers” would be created, which would handle the day-to-day dealings of the medical cannabis regulations including purchasing, supplying and delivering/dispensing medical cannabis to patients. The Philippines’ Department of Health has been tasked with running these new facilities, as well as creating an advisory committee on the medical use of cannabis, which would create and implement provisions of the Bill. The PDEA will help regulate and monitor the new regulations. The bill’s passage through the House is not a surprising one, given the support it has been given by former President, and current Speaker of the House, Gloria Macapagal Arroyo. Arroyo has openly admitted that she uses medical cannabis to help relieve the intense pain she experiences due to multiple cervical spondylosis (degeneration of intervertebral discs), causing pain in the spine. The speaker uses cannabis patches whenever she visits a country where she can find legal access to cannabis. “I am an author of that (medical marijuana bill). “I really believe in medical cannabis. As you know, I have my problem here and when I’m in a country that allows it, I put a pain patch, but here in the Philippines, I cannot do it. While patients in the Philippines will soon be enjoying legal access to a safe and effective medication, patients in Britain have been left behind. Only a handful of patients have been able to acquire a prescription to medical cannabis in the UK. Even if a patient is able to get a prescription, it is often a private one, costing £10,000s per year, pricing out the majority of families. Every patient, regardless of wealth, should have choice in their healthcare and medication, especially if they are resistant to other, Pharmaceutical medications. Patient well-being should be Britain’s priority, not profit.